So I spent some time browsing Pinterest (LOVE it when I can justify browsing Pinterest as “working on a blog post” 😉 and compiled a bunch of inspiration pictures for you. Let’s start with mantels. Now remember if you don’t have a fireplace/mantel you can always decorate a “fantel” or a fake mantel – a shelf, on top of the piano, etc. So don’t feel left out if you don’t have a mantel. Love this mantel – the yellow and black with the shaped doily “Spring” banner – so cute! A cute wreath always makes a good mantel arrangement! And the Lettered Cottage never disappoints with their mantels. Love the simple looks of white and green. Love this eclectic look of window and frames! A simple green wreath (like mine!) and some added white or yellow accents make a pretty mantel too! Love this mantel by Centsational Girl – simple white and yellow. Her mirror is gorgeous! See what I was saying about decorating the top of anything? Doesn’t have to be a "mantel" for you to have a pretty spring display. I found this picture on Pinterest and was amazed when I clicked through to discover how she made this topiary. I just figured she had bought it this way and it was very Pottery Barn (= expensive) looking. Nope , she started with one of those …uh, we’ll just say kid-friendly style of topiaries, spray painted it cream, and added some moss in between the eggs! I am SOOO looking for one of these on after-Easter clearance this year! Visit her blog here. Loved this cute egg paint chip banner – so cute and the kids could help you make this and pick out the colors too! Another simple white and green spring mantel. LOVE the branch with the hollowed out candle holders! This is sort of what I am envisioning for my spring mantel But we will see what the finished product ends up looking like. Adventures in Decorating always has gorgeous mantels! I am loving her pastel spring banner – looks like burlap mounted on colored paper or fabric. And of course you can always use real plants on your spring mantel. If you planned ahead some tulips, daffodils, irises or lilies coming up in some pots would be gorgeous. Perfect and gorgeous, right!? Visit the Inspired Room for all the details on what they used and how they did this I am thinking that if you had a mirror large enough, you could use a mirror too. Or even make your own mirror by buying a sheet of mirror and building your own frame around it. 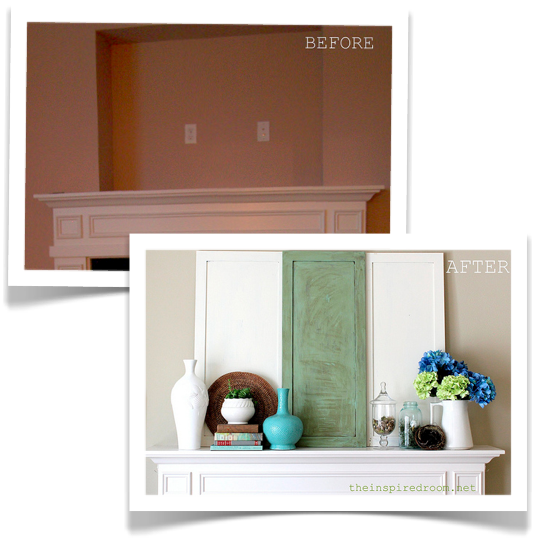 Hope that helps answer some questions and give ALL of us some inspiration for spring mantels! 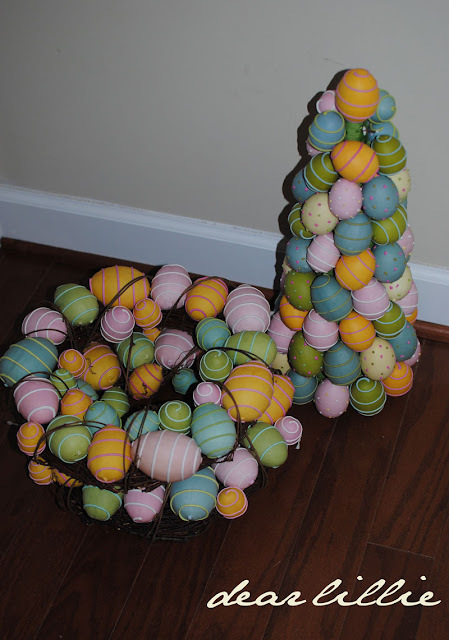 This post got long enough before I started to tackle Easter décor and even more spring décor so look for another post soon with that. I am off to finish my mantel so hopefully I can share it tomorrow! And if your mantel (or “fantel”) is finished or you do it this week after getting inspired, post the link in the comment section so I can pop over and see! Thank you for the inspiration! While I don’t have a mantle, I do have a place to decorate now that I’ve looked through your post! Melissa recently posted..Recipe Cards for a Friend…..